The Easter Egg Hunt is still on for today, Saturday, 26 March 2016 BUT will be at the new Gazebo, which is on the old ball field by the Nature Center. Don’t miss the Easter Egg Scramble at Cedars of Lebanon State Park on Saturday, 26 March 2016 at 1:00 PM. Kids ages 2-12 are invited to hunt the eggs and will be divided into three groups according to age. Toddlers will have an area all to themselves, and may be accompanied by one parent during the hunt. We have lots of candy & eggs this year, and prizes too. But be sure to bring your own basket or sack to gather your eggs in. The Easter egg hunt will begin at precisely 1:00 PM. And as you might imagine, the actual egg hunt lasts only a few minutes. In other words, to participate you must arrive well before 1:00 PM! If you wait until 12:50 to show up, your children will miss it. Allow enough time to find a parking space, walk with your child to the appropriate area, and get your child to the appropriate age group. 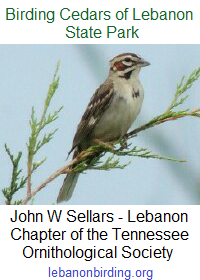 This entry was posted in Announcement, Public Event and tagged Cedars of Lebanon State Park, FoCoLSP, friends of cedars of lebanon, Tennessee State Parks, wilson county. Bookmark the permalink.